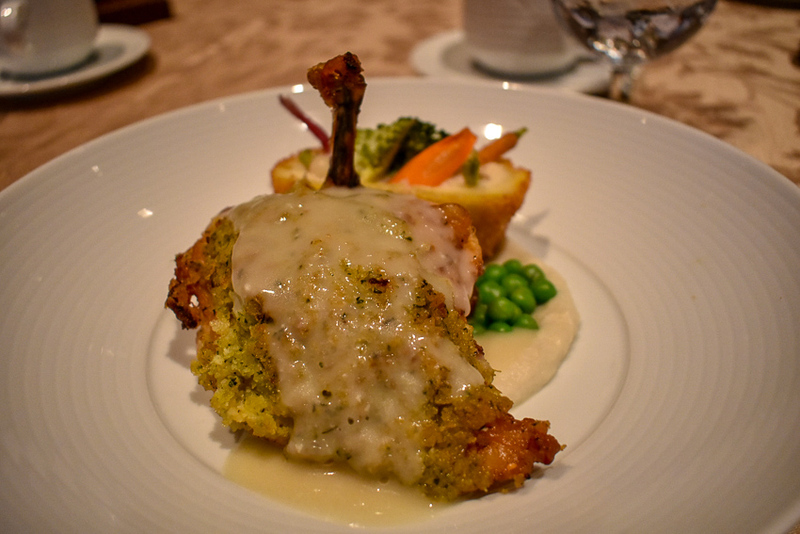 The ACF Professional Chefs Association of South Jersey hosted ChefConnect: Atlantic City on February 24-26. 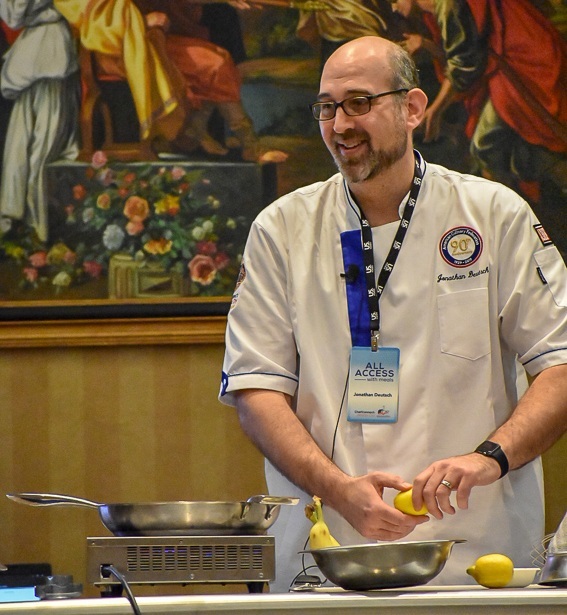 The American Culinary Federation’s ChefConnect events are regional conferences featuring education, networking, the Baron H. Galand Culinary Knowledge Bowl competitions, and a forum for ACF chapters hosted by the regional Vice Presidents. 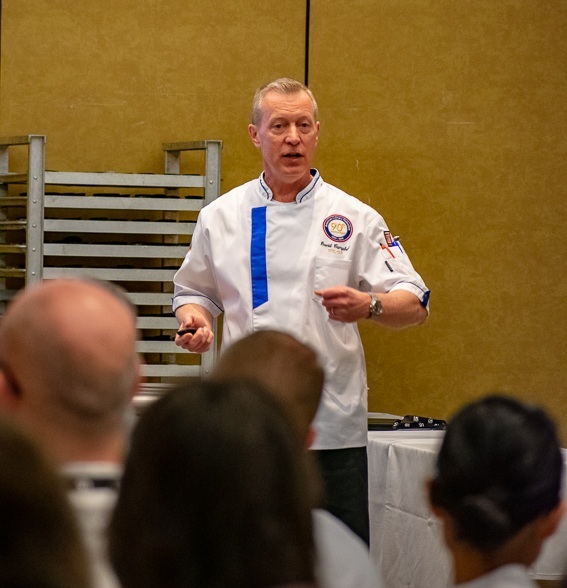 Chefs from all fields including pastry, restaurants, research, corporate, education and more gather with their peers and suppliers at our regional conferences and national convention. ACF events are open to ACF members at a discounted rate. Non-members are invited to attend as well. Chef demonstrates how to make mofungo. Up to 40% of food is wasted globally. Chefs are highly skilled at food preservation and can apply those skills to community settings and the food industry to achieve regional, national and global impact. Starting with the case of food waste and exploring other opportunities, Chef Deutsch showed how the Drexel Food Lab in the Center for Food and Hospitality Management at Drexel University is engaging students in solving real world food system problems. Chef Deutsch is a Professor in the Center for Food and Hospitality Management and Department of Nutrition Sciences at Drexel University. He was the James Beard Foundation Impact Fellow, leading a national curriculum effort on food waste reduction. At Drexel, he oversees the Drexel Food Lab, a culinary innovation and food product research and development lab focused on solving real world food system problems in the areas of sustainability, health promotion, and inclusive dining. 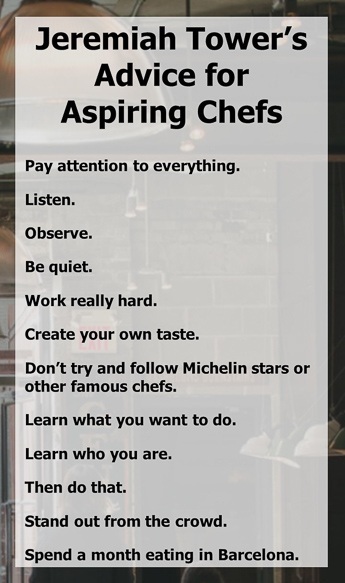 Chef Forgione discussed his culinary journey and encouraged chef to listen to their gut. 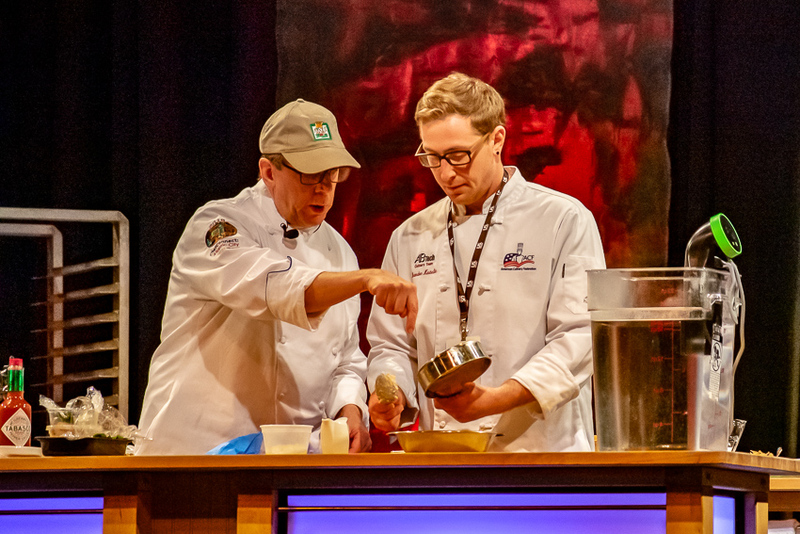 Michael Ruhlman and Brian Polcyn were on stage together showing common butchery and traditional European seam butchery cuts for pate, terrines, and rillettes, and menu development. Commentary by food writer Michael Ruhlman. The two discussed Charcuterie, the use of nitrites and nitrates in the craft, the importance of American farming, and how to utilize this ancient craft for profitability. Culinary programs and apprenticeships do a great job teaching people to cook, but rarely spend any time teaching them to taste. A few years ago, David Campbell of State University of New York at Cobleskill started to teach a wine tasting class. Students were required to write up tasting notes for each of the wines tasted. When he had those students later in the program (for cooking classes), he noticed that they were able to discuss flavor and manipulate the taste of dishes much easier than they could before the wine class. He began to include sensory evaluation in his culinary classes and have made it a point to get students to "put words" to what they are tasting. Attendees will learn the five basic tastes and how to manipulate them for optimal flavor; how sense of smell impacts flavor; how mouthfeel contributes to flavor; ways to get students to talk about taste; and how to use these skills in their classrooms and positively impact their students. Open discussion on dealing with some of the emotional challenges of the industry. A third-generation restaurateur with more than four decades of culinary experience, Chef Walter Staib is an author, Emmy Award winning TV host, James Beard-nominated chef and culinary historian. He began his career in Europe, receiving formal training in many of Europe’s finest hotels and restaurants. As founder and president of Concepts By Staib, Ltd. (est. 1989), a global restaurant management and hospitality consulting firm, Walter Staib has opened more than 650 restaurants worldwide. He is currently the driving force behind Philadelphia’s City Tavern, a faithful recreation of an original 18th century tavern and Concepts By Staib, Ltd.’s flagship operation. Staib founded the Caribbean Culinary Federation and organized the first Caribbean culinary competition between 15 countries in the Caribbean. He was also the first inductee into the Caribbean Culinary Hall of Fame, and his efforts to promote Caribbean cuisine outside the Caribbean. Chef Staib has also authored six cookbooks. Walter Staib has made numerous appearances on local and national cooking shows, such as 60 Minutes, the Today show and the Food Network’s “Best Thing I Ever Ate” and “Iron Chef.” He is the host of A Taste of History©, which just received the 2012 James Beard Foundation nomination for Best TV Show On Location and was awarded ten Emmy awards, including two best hosts. The show is a vehicle for Staib to share 18th century cuisine with a growing audience. Croatian food has been influenced by tastes and traditions from neighboring countries, and the many different nations that ruled territory of Croatia throughout history. From the mainland to the coastal regions, the cuisine of Croatia has blended the best of flavors of Slavic, Hungarian, Turkish, and Mediterranean foods. In this session learn about the foods of each region, and taste how these dishes can be translated into current menu items. Stephen J. Moir, CEC is a graduate of the Academy of Culinary Arts 90’. Chef Moir is currently Culinary Instructor for the Middlesex County Vocational and Technical Schools-Perth Amboy Campus. This past year Chef Moir received the distinction of winning the Green Leader Award presented by the Green Restaurant Association. Chef Moir received the 2007 & 2016 Teacher of the Year at Perth Amboy Tech and 2011, 2014 and 2016 Northeast Semifinalist for Chef Educator of the Year from the ACF. Jeremiah Tower was born in the United States, educated in Australia, England, France, and the U.S., and is recognized throughout the world as an authority on food and restaurant hospitality. In 1972, he began his culinary career as co-owner and executive chef of Chez Panisse in Berkeley, California. Chef Tower has written many award-winning books. In addition to the James Beard Foundation’s award for “Outstanding Chef in America” in 1996, Jeremiah was inducted into the 1991 Nation’s Restaurant News Fine Dining Hall of Fame, and in 1993 was named Regional Best Chef California by the prestigious James Beard Foundation. 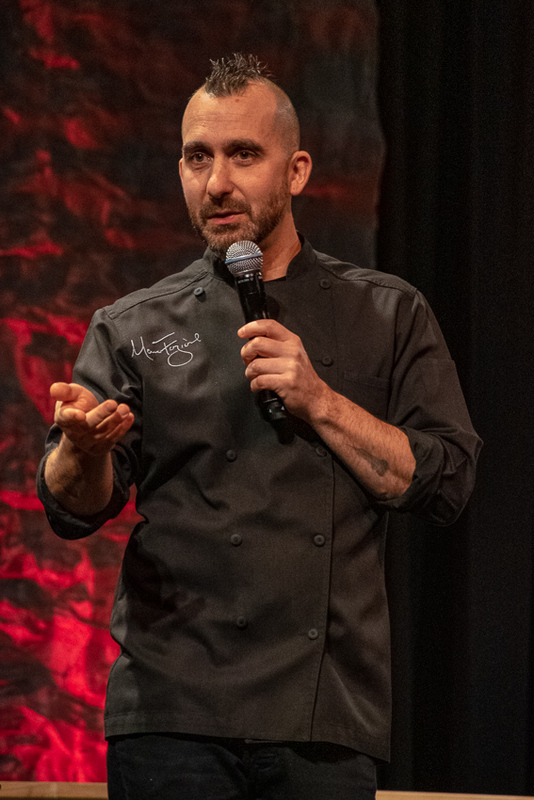 Recently, Tower was the guest speaker at the first graduation of The Escoffier School of Culinary Arts, Austin, TX; a guest judge for “Top Chef” in the U.S. and for Rich Stein’s BBC television show “Mexico;” a speaker and presenter at the Financial Times “Weekend” at Oxford University.